Wai Ora Lakeside Spa Resort features the award winning Mokoia Restaurant where you can dine while overlooking the waters of Lake Rotorua. Mokoia Restaurant is a definitive fine dining experience featuring creative Pacific Rim cuisine using indigenous herbs and spices to express the essence of contemporary New Zealand culture. Located in the heart of the Resort, the English styled Manary Bar is the ideal place for pre-dinner drinks and canapés. A large variety of specialty beers, wines and top shelf liquors are available. LCD TV shows music videos as well as any other requests you may have – such as sports games or breaking news. The bar can also be used for after party requirements with a CD player and ipod attachment to listen to the tunes you request. Liquor licence till 1:00am. Our on-site catering staff from Mokoia Restaurant will ensure all of your food requirements are fulfilled with professionalism and flair, offering extensive menu options including a full vegetarian menu and the ability to cater for special dietary requirements. 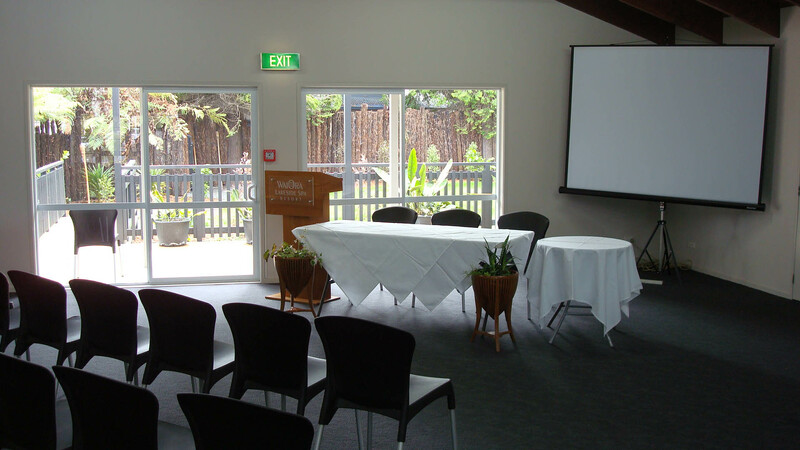 Conference packs include morning tea, lunch and afternoon tea which feature Mokoia Restaurant’s unique cuisine. We can also work with your company to organise a dynamic Gala Night Dinner, where we dress the tables elegantly, organise live music and work with your company to decide on a mouth-watering menu. Is there a meeting you’d like to hold over breakfast early in the morning? Or even a guest speaker you would like to have present to your staff at the start of the day? The Business Breakfast at Mokoia Restaurant is in a quiet and beautiful location to launch your day on a successful platform. 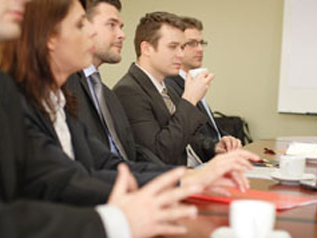 It is also a great way for business people to socialise and further discuss presentations over delicious food. If you have a client you are looking to treat, an informal meeting, or a staff celebration, then a business lunch or dinner at Mokoia Restaurant will delight. Dine from a menu that always leaves a lasting impression as Mokoia Restaurant is the only fine dining restaurant in New Zealand that specialises in using indigenous herbs and spices to create delicious flavours. We invite you to “share dine”- an experience that allows you to try a range of food sensations created by our chef Romelyn Garde and her team. Mokoia Restaurant holds the prestigious New Zealand Beef & Lamb award for six years running from 2009.